oh, good for you! i know you soaked it in! It must have been a real thrill to be back out in the kayak and be able to get so close to the egret. Lovely photography of nature from your kayak ~ Mother nature provides such beauty ~ Glad you had a good time ~ Great shots for OWT! the beauty is stunning here! What a beautiful place. I hope I can visit one day. What a pretty place to go kayaking.. 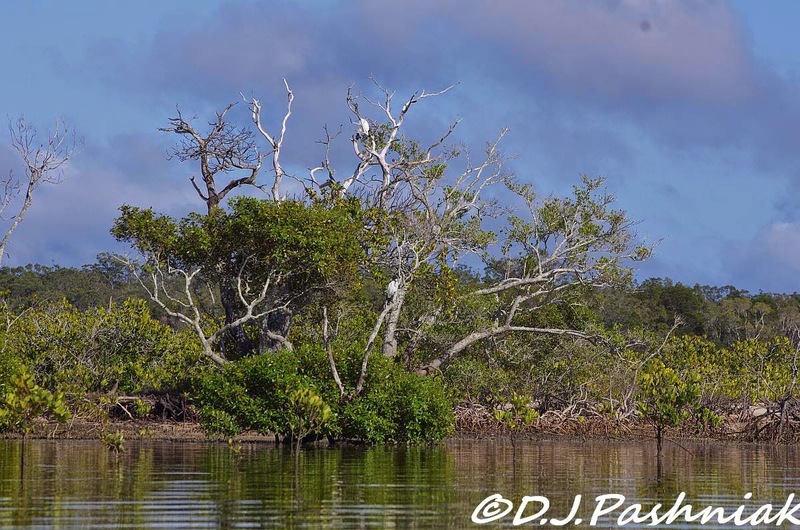 I think the mangroves are cool, especially when they hold so many birds..Gorgeous Egrets. Great shots, thanks for sharing.. Have a happy new week! Oh hooray hooray for Spring! Your pictures are praise to the season in themselves. So happy that your'e able to get back in that Kayak ... and so happy the birds were there for you. (I think the egret may have recognized you since he was so calm when he saw who it was!). Beautiful blue skies and amazing birds! 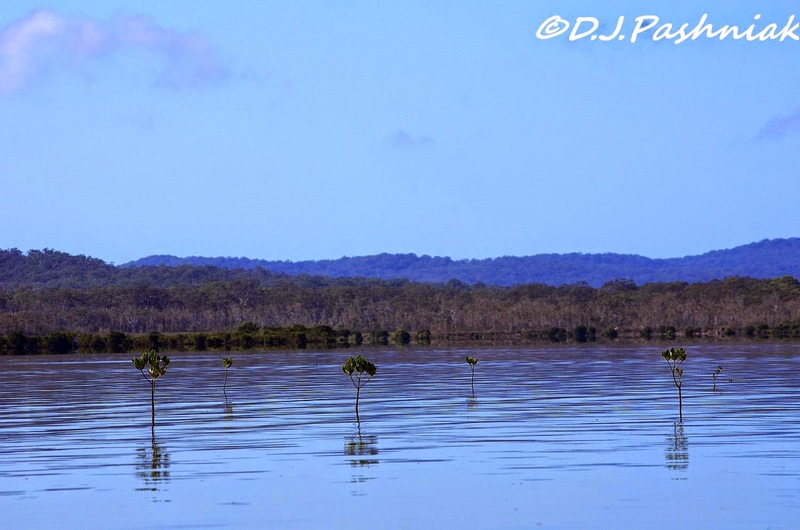 It does look a perfect morning for cruising around those beautiful mangroves. I'm thinking that the Little Egret could easily be missed because of its colouration against the grey and white of the trees. Trust an Oystercatcher to sound off just when you don't want it to. wonderful clarity & colours in these pics. and gorgeous captures of the elegant egret. beautiful images. It sure was a beautiful day for kayaking. The bay is beautiful and I love the egret. I'm so happy you had a great day. Great area and wonderful photos. Perfect conditions for a paddle and great views of the mangroves and the Little Egret. Hope you enjoy many more days like this. Splendid Egret shots. Always nice to see them. That does look like a perfect day for a paddle - and I know what you mean about the sand flies! What a beautiful bay! The mangroves are really neat. Lots of hiding places, nesting places and perching places - I'm sure the birds love them. 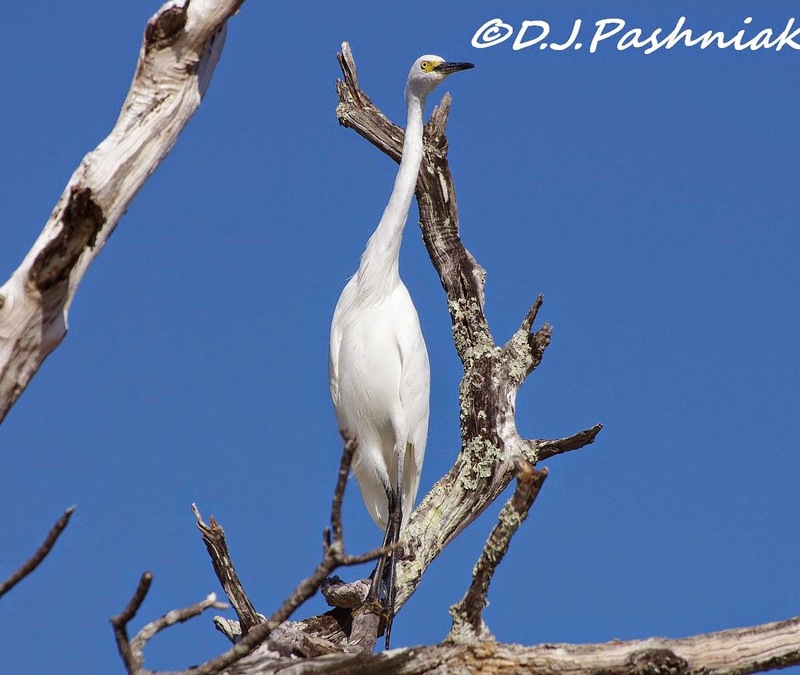 Sounds like you have a great variety of birds there - your shots of the egret are wonderful! I love kayaking! Just discovered it this year. These are stupendous shots. Gorgeous water views Mick! I'd love to paddle around that area. 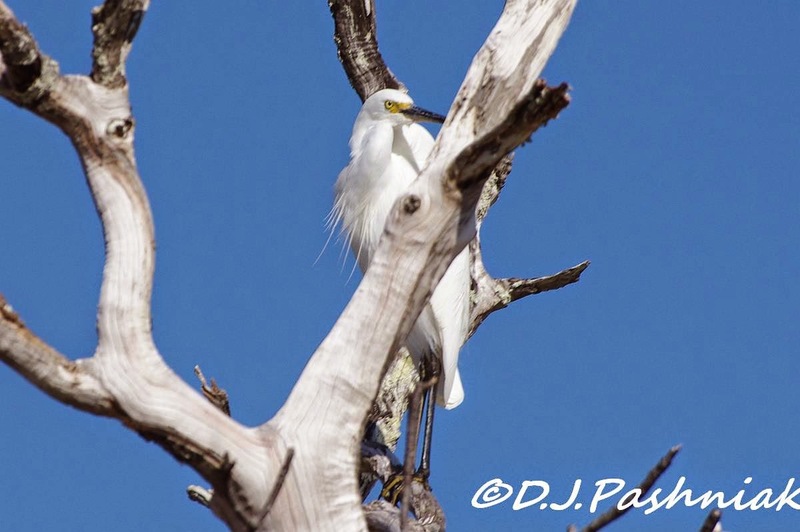 Beautiful egret shots! Beautiful early morning shots. Looks very calm. Beautiful views from your kayak! I share your joy in finally being ale to go out in your kayak. I used to kayak on the Murray river with it's lagoons when I was still able to do that and I really miss it. A wonderful feeling to be accepted by the Little Egret. Good for you! Wonderful place to paddle a kayak! 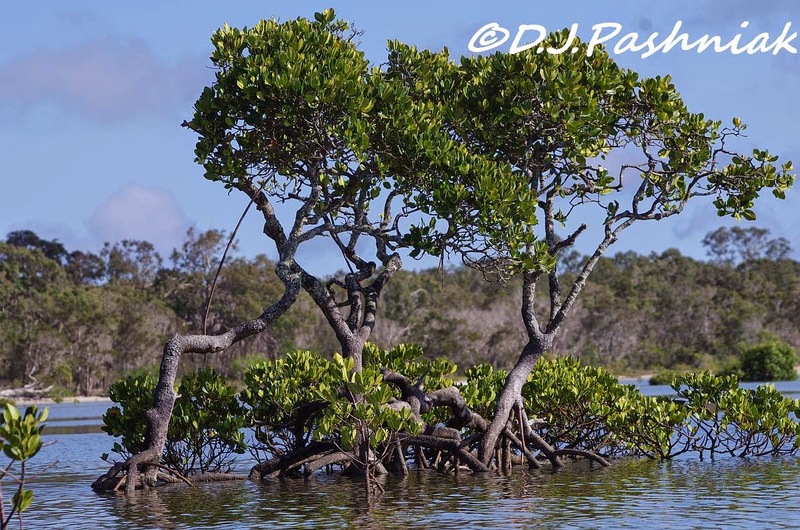 The mangroves remind me of our south Florida coastal estuaries. 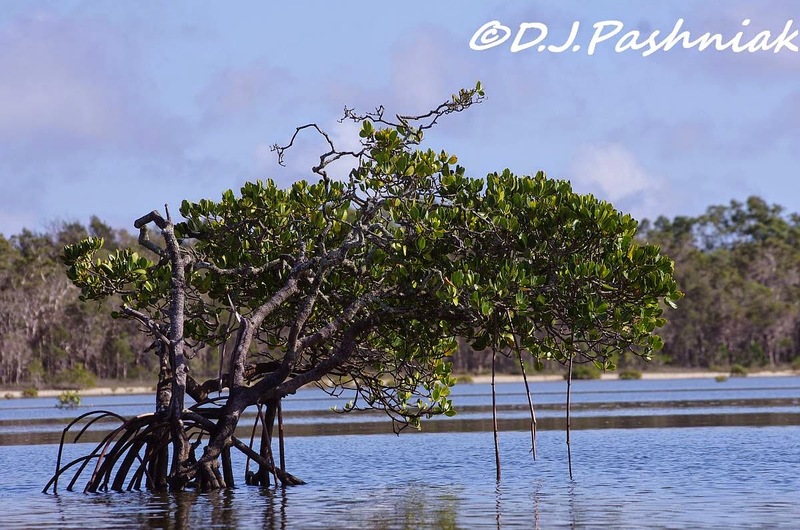 Mangroves are migrating north in response to the changing climate. 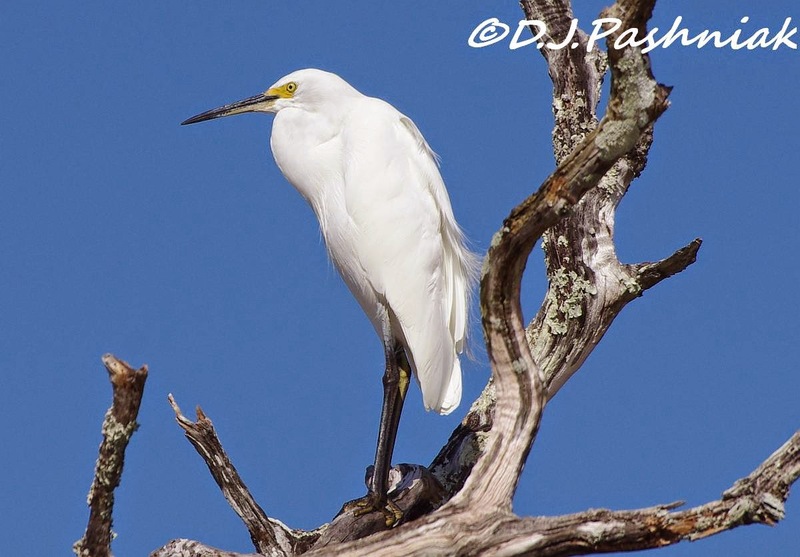 If your Little Egret had "golden slippers" it could sub for our Snowy Egret. I am so happy it did finally settle down, what a beauty! 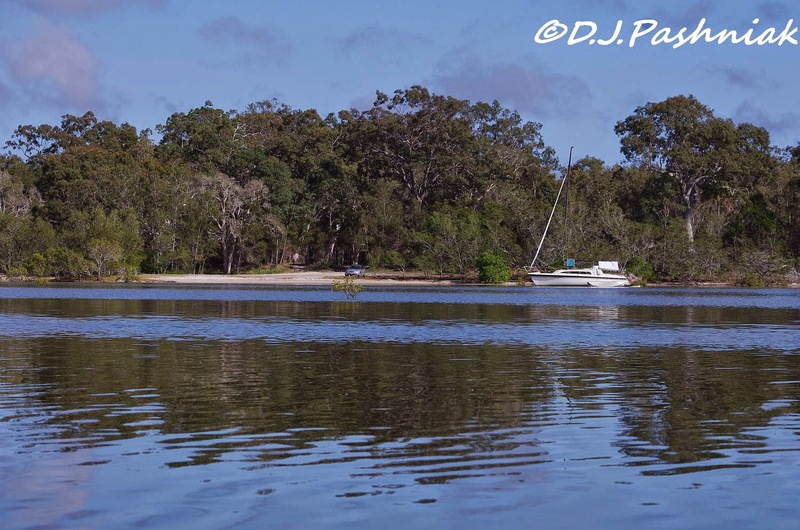 Your superb images perfectly communicate your "paean of praise", Mick! Really happy you're able to get back out in the 'yak. It does look like a perfect morning for it! Would have loved to see that group of mixed shorebirds! We're just now seeing migrants of all sorts and the numbers should increase soon. When you said you had seen Song Thrush In New Zealnd I was astounded so Googled it - "Birds of the nominate subspecies were introduced to New Zealand and Australia by acclimatisation societies between 1860 and 1880, apparently for purely sentimental reasons." There you go you learn something new each day.